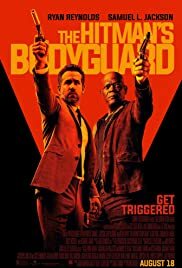 The critical consensus was that The Hitman’s Bodyguard was too cliched and unoriginal, “[coasting] on Samuel L. Jackson and Ryan Reynolds’ banter”. Okay, you’re with me so far. On the flip side, there’s the saying “one man’s trash is another man’s treasure”. Jackson and Reynolds’ chemistry is clearly the reason The Hitman’s Bodyguard works; the difference it seems between me and the big-C Critics is that chemistry wasn’t enough for them, but is more than I could have asked for myself. Darius Kincaid (Jackson) is the hitman from the title and Michael Bryce (Reynolds) is the bodyguard. We kick off the film focusing on Bryce’s routine dealing with a high-value client ending with a murder and a dumbfounded Reynolds starting off into the abyss. Reynolds seems to be honing in on his Deadpool-style persona and I could not be happier. Sure, pretty much all the roles I’ve seen Reynolds in lately he’s typecast in that role, but it’s the same as Robert Downey Jr. being cast as himself/Tony Stark — it’s a match made in heaven I think. On the other hand is Jackson, who is his usual old self as well. While I could pull from a handful of roles this feels familiar too, his turn as Zeus Carver in Die Hard with a Vengeance comes to mind most readily. Especially the Reynolds/Jackson combo reminded me a lot of the humorous antics, yet deadly (literally) serious situations John McClane/Carver deal with in Die Hard. I could rattle of many handfuls of scenes that I’m laughing at just now as I’m writing this — van full of nuns, hood of the car in the final car chase, Reynolds sipping cocktails in the city streets — I could go on, but I’d list quite a bit of the movie. Sure, The Hitman’s Bodyguard isn’t groundbreaking film, many of the potential twists are telegraphed right in front of you, and there are cliches out the wazoo. It also most certainly does “coast on Jackson and Reynolds” and without them, this film wouldn’t be a glimmer of the entertainment I found it to be. But Reynolds and Jackson do headline this, bring their A-game of typecast personalities, and when I pressed play The Hitman’s Bodyguard was exactly the film I was expecting and there really isn’t much more I can ask for.